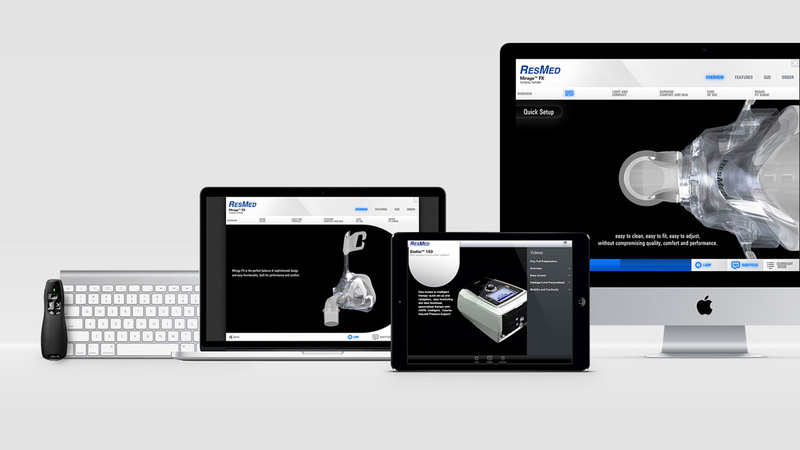 ResMed required a more consistent and dynamic way of selling their products. Traditionally, each sales rep used their own collateral and a created their own PowerPoint presentation. This resulted in unprofessional looking material and inconsistent messaging across the sales team. As sales reps all have different selling methods, a single uniform set of slides simply would not work for everyone. Our strategy was to create a more flexible sales tool for reps, while still maintaining a smart, clear, and consistent brand message and style. 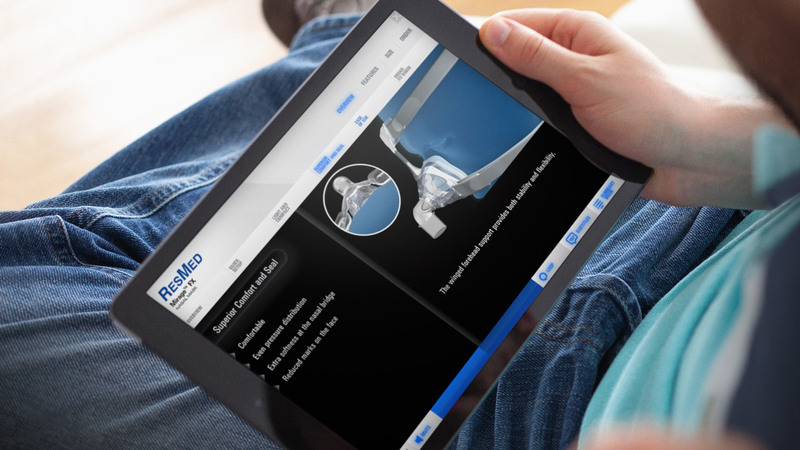 We also wanted to give reps the flexibility to present from their PC, laptop or tablet. We designed and built a customizable presentation app for Macs and iPads. Reps can now change each setting according to their presentation style. The app also gives them easy access to supporting words and images as well as more detailed information should they require it. The only aspect they won’t be able to customize is the style, imagery, videos and content – this insures that there is a consistent global style and message. 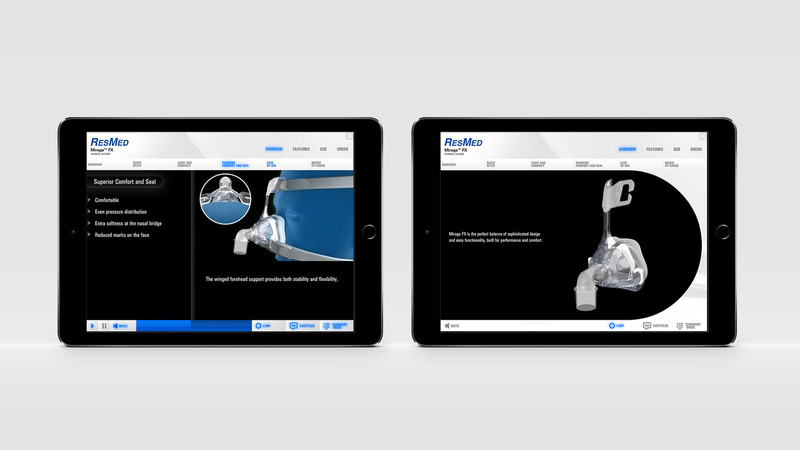 ResMed informed their reps of the update via the App store where they could also download the new version. 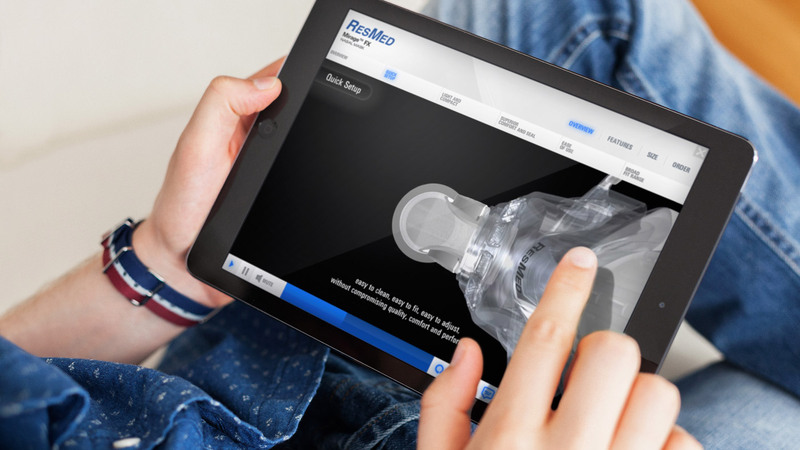 The application was so successful that it was translated into French, German, Spanish and also distributed throughout North America and Central Europe. Tonic was commissioned to develop the application to work with Windows and Android devices.